I TEND TO KEEP MY NAILS SHORT SINCE MY WORK CONSTANTLY REQUIRES ME TO TYPE - YES! I HAVE A JOB OTHER THAN BEING A BLOGGER! MOST TIMES I KEEP MY NAILS POLISH-FREE. WHEN I DO WANT A FRESH COAT OF PAINT ON MY NAILS, I'LL USUALLY GO FOR A NICE SOLID COLOR, BUT THROUGHOUT THE WEEK I'LL NOTICE THE POLISH CHIPS, THE COLOR WILL LOSE IT'S SHINE, AND IT STARTS TO LOOK DULL. I'VE REALIZED THAT WHEN IT COMES TO MAKEUP I TAKE EXTRA STEPS FOR LONG LASTING WEAR. 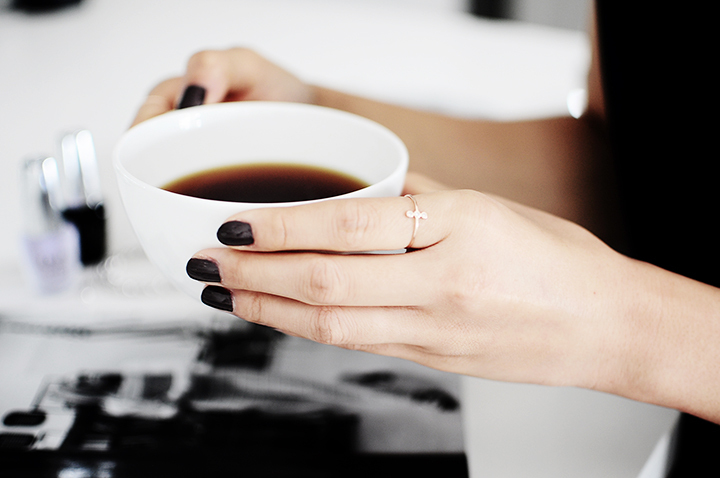 BUT, WHEN IT COMES TO PAINTING MY NAILS, I REALIZED I SKIP THE MOST IMPORTANT STEPS FOR LONG LASTING COLOR AND SHINE! 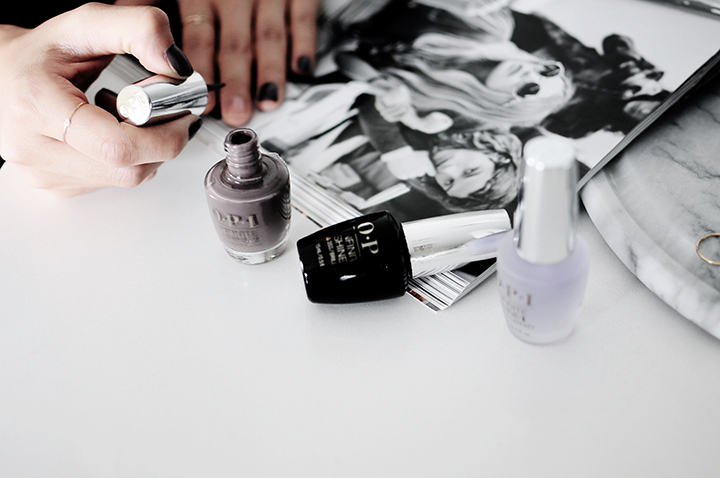 THAT'S WHERE THE OPI'S INFINITE SHINE COMES TO THE RESCUE! JUST LIKE HOW WE PRIME OUR FACE FOR NICE SMOOTH MAKEUP APPLICATION AND THEN SEAL OUR FOUNDATION WITH POWDER. . .SAME GOES FOR OUR NAILS. THE OPI INFINITE SHINE PRIMER ALLOWS FOR A NICE EVEN COLOR ALONG WITH HELPING THE LACQUER (I'M WEARING SET IN STONE) REALLY STAY ON. THE INFITE SHINE COLORS ARE PIGMENT -RICH, EVEN ON THE FIRST COAT, BUT YOU SHOULD ALWAYS APPLY A SECOND FOR THE BOLDEST COLOR. THE LAST STEP, WHICH IS THE GLOSS TOP COAT, REALLY SEALS THE DEAL. 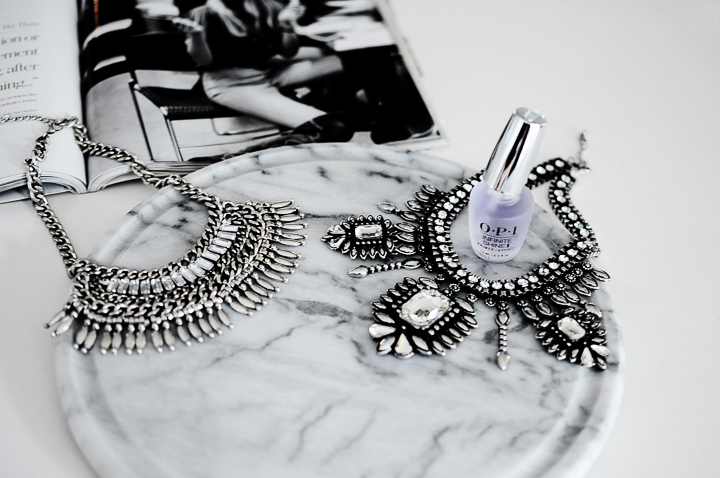 APPLYING ONE COAT OF THIS GIVES YOUR NAILS MIRROR-LIKE SHINE FOR DAYS! WITH THE TRIO OF OPI INFINITE SHINE PRIMER, LACQUER (COMES IN 30 SHADES) AND GLOSS, YOU CAN REALLY GET LONG-LASTING, HI-DEF GEL SHINE THAT WEARS UP TO 10 DAYS! 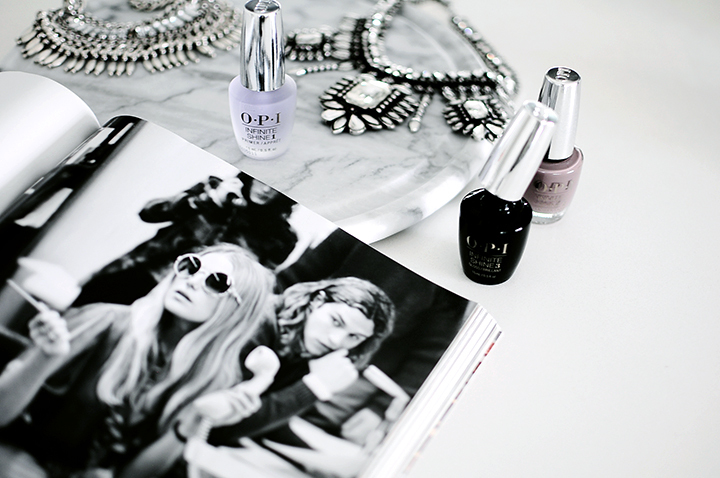 THIS POST IS SPONSORED BY OPI THROUGH THEIR PARTNERSHIP WITH REFINERY 29. I WAS COMPENSATED FOR THIS POST; THE OPINIONS ARE COMPLETELY MY OWN BASED ON MY EXPERIENCE. you capture such beautiful photos!